Maybe it's not so apparent but MekWeb has quite a history. The page was only static with some dynamic elements like a guestbook, polls and visitor counter provided by Czech company BlueBoard. 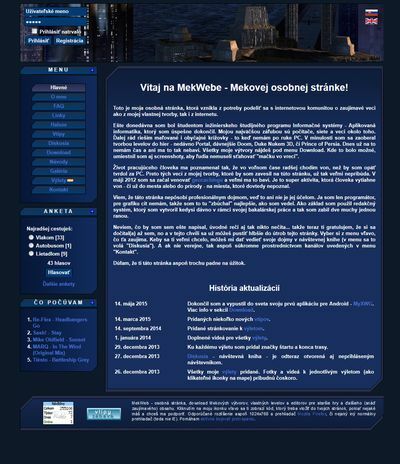 Since my freehosting - SZM (superzoznam.sk) - did not run PHP (btw. it's not supported until now), there was no other way. But it was enough for the first year. There were more and more visitors from my schoolmates and internet friends. I decided to start with PHP and replace the polls and guestbook with my own solutions. SZM could not be used because of lacking PHP support so I had to find a different freehosting. The best one from what was available was WZ.SK (webzdarma.sk), it offered 100 MB space, PHP and MySQL database (I didn't know yet that I am going to need it as well). Furthermore, it was fast and without ads. I had to contact administrators via e-mail, explaining the purpose of web page I intended to host to be approved and use their freehosting. Maybe that was the reason why WZ.SK was not as popular as WZ.CZ at that time. So the page has been moved to WZ.SK. Some people didn't like that it was still using frames and had kind of classic 90s look. No wonder, it was my first. That's why I devoted some time to complete re-design and switched from frames to tables - I know, not really the best solution but that was modern back then. New design was inspired by a free template which I heavily modified to suit my needs. This MekWeb used to have around 300 visitors per week. Now I wonder where so many visitors came from? The downloads section was growing as well. I was afraid that one day WZ.SK stops working and never continues again. 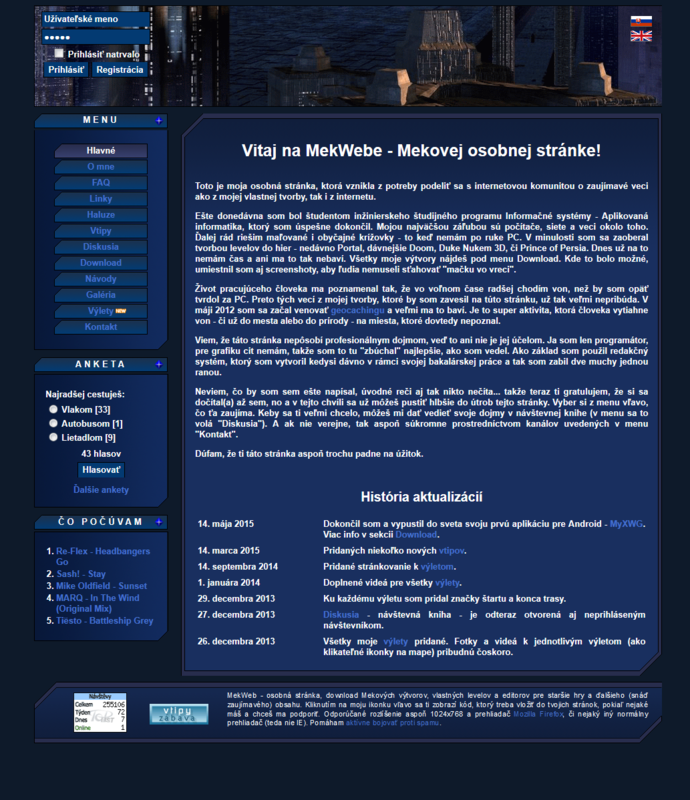 I bought a domain (mekweb.eu) and a cheap paid webhosting and moved MekWeb there. Only a redirect was left at the old address. My concerns were true because after a year WZ.SK really disappeared without warning and never came back to life again. Domain WZ.SK is now offered for freehosting at WZ.CZ by the Czechs. Page design was still the same and lasted until 2009. In my third year of studies at the university I chose the topic of my bachelor's project - new dormitory portal for Internet Klub (student organization I was working for). I created a custom CMS and it was used also as my semester project in two more school subjects. The time of responsive and cleaner design has come. I started to dislike the old design. It was there for six years, there was time to bury it for good. 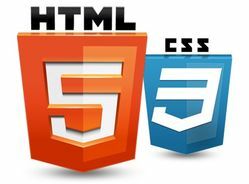 We started programming a HTML5 application at work and I also earned a certificate from M$ in this field. Because of high work occupancy I had to persuade myself quite a lot to re-work MekWeb but now I have a good feeling of accomplishment. The server part still uses very simplified portions of the CMS from bachelor's project (mentioned above) and many components were updated to modern versions. 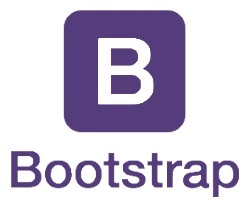 I decided to use Bootstrap for the front-end as we use it also at work so I learned much new stuff. Basic purpose of MekWeb didn't change through all the years - it is still out there to offer my creations. However, it is still good to also present myself and various things from life - trips, pictures. In addition to re-design and content movement, some pages were merged (such as Contact) to simplify the menu. Other pages were removed without replacement because they were redundant and not current anymore. Registration of users disappeared as well - there is nothing on MekWeb that should be only accessible to registered users and would be worth registering. However, I also added new stuff such as the page you are currently reading. You are looking at the result of all my latest efforts. I hope you like it more than the old versions of MekWeb. 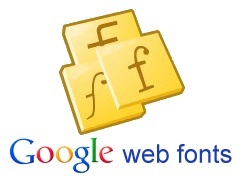 I also believe that this MekWeb will last for a few years, at least until new trends emerge.